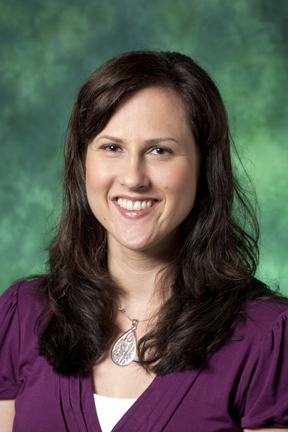 Whitworth alumna Peggy Hardt, ’96, is currently a senior lecturer at the University of North Texas. Hardt not only teaches Japanese courses, but she also coordinates the Japanese program at the university. After graduating from Whitworth, Hardt went on to teach English in Japan for two years; she later earned her master’s degree in foreign languages from the Monterey Institute of International Studies. Hardt’s love for the Japanese language and culture began when she was 12 years old and her family took a trip to Japan to visit a Japanese exchange student her mother’s family had hosted years before. Beginning in high school, Hardt spent the next 10 years studying the language before she launched her career as a collegiate Japanese instructor. While at Whitworth, Hardt was a cross-cultural studies major. This major allowed for her to take courses in a variety of departments. “I believe Whitworth gave me a broad foundation in various subject areas, which made me a well-rounded individual and prepared me to succeed in graduate studies,” says Hardt. She specifically identified Professor Emeritus of Political Science Daniel Sanford as extremely influential throughout her education process at Whitworth. “Now that I work at a large university, I realize how blessed I was to be at a small school that valued and was able to foster community,” says Hardt. During her time at Whitworth, Hardt was involved with the Conservatory Ballet Theatre, which at the time was housed on-campus. She also participated in the Whitworth production of the musical Fiddler on the Roof. For a semester, Hardt studied abroad in Japan and attended a language school in Tokyo.